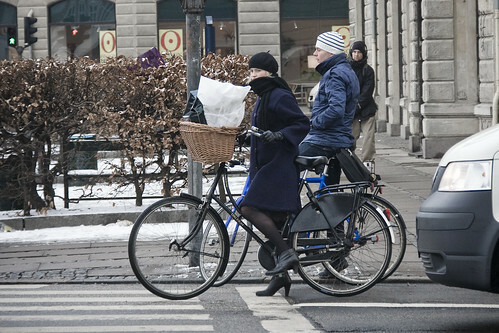 All poise and grace and sensible bicycle in the sub-zero temperatures. All poise and grace and sensible bicycle in the autumn air. I think your blog is so cool! I love cycling too and did that alot when I was in Sydney. Unfortunately, Hong Kong is not a great place for cycling. Great to see the bikes and the ladies riding them ! you have a great blog and beautiful photos!! i am so excited to have found your work. thank you for sharing, you are very talented! those shoes are gorgeous. danes have an eye for beauty.